The Standard plan is a Content Management System set-up, enabling you to add your content as you grow. Included in the price is a 5 image front page slideshow if desired, links to Facebook and Twitter, 5 “base pages” of your supplied content including a contact page with a form that sends to your email. .com.au Domain Name registration, the address of your website on the internet. (ABN Required). Customised basic site theme that brands the site with your company’s logo and colour scheme. All our designs are now mobile optimised and look great on any mobile device. This can be an “extra” with other designers, but for us it is important that your site is up to date and responsive so it can be viewed by anyone, anywhere and on any device. 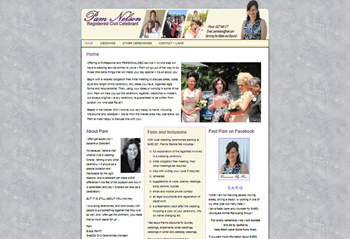 Simple and very usable designs which are perfect for your business on the web. Can be set up as either a “normal” website type interface or as a “blog” site. We can add your logo and also use an almost unlimited variety of colours to compliment your business branding. With a “content management” back end (see below) your site can be expanded to grow as your business does. This is our most popular plan for small businesses as it offers a small initial investment but can be expanded when needed. 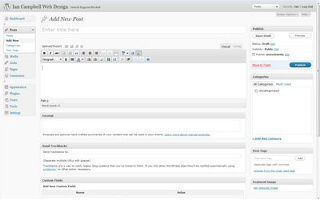 Content management system online editor. A content management system or CMS is a website where the “content” is dynamically written to each page from a database on the server, some examples of CMS systems that you may have heard of are WordPress, Joomla, Drupal and Mambo. A web content management system (WCMS) is a software system which provides website authoring and administration tools designed to allow users with little knowledge of web programming languages or markup languages to create and manage the site’s content with relative ease. Once it has been set up correctly the owner/user can add content, make changes and update the “back end” online.